I created a project asking a programmer to create a simple project. I started it, did most of the hard work like getting it to connect to BigCommerce and another API. I gave them clear instructions, answered their questions, and spent 2 hours on the phone with them. After a week they asked some questions and I gave some feedback. I didn't realize he had billed me 14 hours for that week because he manually added the hours on Friday. This week, he has logged 10 more hours for a total of 24 and the changes I got were minimal. In our emails back and forth, I learned that he is billing me 2 hours because he had to learn how to add Log4J to the project, another couple hours because Eclipse would not compile Groovy properly and so he installed IntelliJ which is what I use and got the project working. And then a few more hours saying he had to read my code and learn about it because I didn't use Angular 4 but was using Angular 1. And he didn't know Jersey to build a REST application but only knew Spring REST. I should have learned about all this during the interview and 2-hour phone call but I didn't. He assured me that he could handle the project and since I was so busy, I took him at his word. Now, 2 weeks later, hardly any of the work is done and I'm being billed 24 hours. I want to dispute it, but I see no way to do that. There are 10 hours logged this week and I have paused the project. I don't want to pay those 10 hours as I have already paid 14 for last week and have gotten very little for his efforts. What do I do? There has to be a way to dispute this. So far the only advice I see is that you move on and let them have the money. As an UpWork freelancer myself, I find that highly unethical and would never do that to a client. 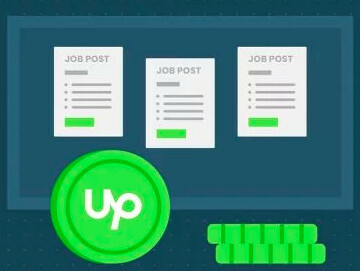 As someone on the hiring side, it makes me want to avoid UpWork like the plague. You missed the chance to disute last week's hours, The review time runs from Monday to midnight on Friday UTC. As for this week's hours (logged this current week) the preferable thing would be to discuss it with the freelancer, they can still remove hours (delete them) until Monday lunchtime UTC. If the freelancer doesn't do that you can dispute from Monday afternoon UTC onwards until Friday midnight UTC. If it is manual time (not tracked) you'll win the dispute by default. I missed the dispute by a few hours. I thought it would be EST and not UTC. I tried discussing with the freelancer and they won't budge and are saying that it is my fault and I shouldn't have hired him. So the hours won't be removed. I closed the project and commented. On Monday I'll dispute the hours. One key here is that you said he "manually added the hours". 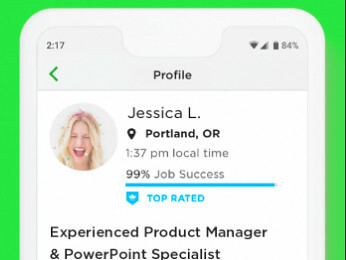 Upwork does not cover manually added hours as they need screen shots and descriptions. It would seem you have allowed manually added hours for this project and it isn't clear from your description whether that was discussed. I realize you are asking what to do in this situation, but first for other clients reading this at some point. You need to use the max hours per week setting provided to clients for hourly projects. When you are starting with a new freelancer on this type of project, you should set this number low enough to protect your investment but high enough to actually get a sense of the work and communication style. I advise all new clients of mine to set it to 5 hours. Next, do not allow manually entered hours. With this the freelancer cannot bill above your max and if they are using the timer you are able to see the hours in 10 minute segments including screen shots. So if you are paying attention, you will know the hours used and what they are doing before a pile shows up. This tale illustrates perfectly the importance of weekly max hours. I am not well versed in the dispute process having never been through it, but others are (whether they have been through it or not) so I'll let them speak more about it. I absolutely see fault on both sides and I'd think before going a dispute route it would be good to have a conversation with the freelancer to see if something can be worked out. Clearly this person is in over his head, but at the same time issues do arise during any project and typically not every topic and every aspect is known such that some education may be required. However, your description certainly paints an extreme picture of someone not even close to capable. To the extent this person has a conscience, perhaps he will agree to give back some hours. It's certainly worth starting here. At the very least going forward use the tools made available on this site to prevent (or at least significantly mitigate) this from happening again. I don;t know what happened to my earlier post - so a repost. 2 Upwork and freelancers are not vending machines where you plop in few coins and get your desired junk food or drink. 3. You say you spent 2 hrs - who pays for that time? 4. the e-mails back and forth - who pays for the time? 5. Learning Log4j in couple of hours is pretty fast and he did installed IntellJ. 6. You being in software must know that each version of programs are bit different. If some one is used with the latest technology they may have difficult time understanding older conventions. I used to use slide rules and log tables to do long computations. How many can use them now? Angular 1 vs Angular 4 is similar to slide rule analogy - I believe people using 1 had to rewrite the entire code. 7. Learning some one else code without proper documentation and comments is rather difficult. Companies like Google, Amazon or Facebook spend lots of money so that the codes are fully compliant with their standard and a random person in future could pick up the code and run with it. 8. If you are not happy with the freelancer pause the contract and hire some one else or if you believe after the initial quirks he could continue and finish stay with him. Now not paying him would be like kicking the vending machine becasue it did not give you the can of suger water in the flavor you wanted. And aren;t you being hyperbolic in saying that he logged "TOO MNAY HOURS" . All I see is a total of 24 hours. I expect a programmer to know their tools. He said Eclipse, I said fine. I asked Angular, he said fine. I don't like being billed for hours that were obviously for him having trouble with his tools. If I hired a truck driver to take something to another city, I wouldn't pay him to learn how to drive. I hire someone for their skills and I was under the impression he had them. My fault for not catching it sooner. I was very busy with clients and needed to offload a project. Now that client is mad because I'm now 2 weeks further along with nothing to show for it. Eclipse would not compile Groovy properly and so he installed IntelliJ which is what I use and got the project working. And then a few more hours saying he had to read my code and learn about it because I didn't use Angular 4 but was using Angular 1. And he didn't know Jersey to build a REST application but only knew Spring REST. IMO I think both of you failed to communicate propoerly. and both of you are somewhat at fault. I may be wrong with my reply but I'm only able to read your version of what happened and your feelings about it. For example, did you convey to this freelancer that you used IntelliJ and that he should also be using that? You mentioned a REST application. Did you just mention that or did you go more into detail about him knowing Jersey. And did you specify what version of Angular you were using Or did you just take everything for granted? This freelancer spent 2 hours in a phone conversation with you and also several emails. IMO he should get paid for that. It takes time, if things were not communicated correctly, or not communicated more in detail, to install applications, and to read your code and get everything working propoerly. As for the truck driver example you stated. - If I hired a truck driver to take something to another city, I wouldn't pay him to learn how to drive - would you have communicated to this truck driver, "Do you know how to drive a truck?" And the answer was yes, and then you found out that this driver only knows how to drive a 10 speed manual, and your truck turns out to be an 18 speed low high transmission. Also, in hourly jobs, a freelancer is paid for the hours they worked. not the work they producted. If a problem arises a client can dispute the hours worked. not the quality of the work they received or didn't receive. In fixed rate jobs, a freelancers is paid for the quality of work that is delivered to you (not the hours it takes) If a problem arises a client can dispute the quality of work produced or if work was not produced at all. Next, do not allow manually entered hours. With this the freelancer cannot bill above your max and if they are using the timer you are able to see the hours in 10 minute segments including screen shots. So if you are paying attention, you will know the hours used and what they are doing before a pile shows up. This tale illustrates perfectly the importance of weekly max hours. Actually manual hours are 100% safe for the client because any dispute for manual hours (if disputed in time) will be automatically decided in favour of the client. Furthermore, neither manual nor tracked time in excess of the set weekly limit is EVER charged to the client. 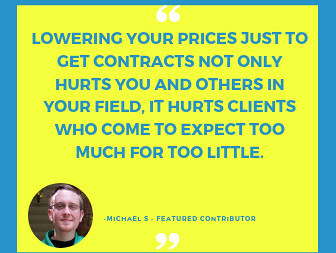 There seems to be a common misconception among freelancers and clients alike that somehow manual time in excess of the set weekly limit "counts" or is billed or paid. This is not the case. You almost make it sound as if manual hours are safer for the client, but it's academic since I don't think a client can specify manual hours only. From the client perspective, manual hours would make it more difficult to monitor the freelancer since there are no screenshots, and unscrupulous freelancers can take advantage of this to pad their hours, as the freelancer in question may have. 2 hours for this, another couple for this, several hours for that -- even if it's not deliberate, timekeeping may not be as precise as when recorded by timetracker and a freelancer could consistently round up to the nearest hour. Even when I'm allowed manual hours, I only use it for small time segments and certainly not for the entire project, as I'd rather not do all the record keeping that will ensure I'm not overbilling the client. But ultimately, a client or project manager needs to thoroughly evaluate the freelancer's output in relation to the time billed during the 5 day review period, when working with a freelancer for the first time. Not doing so is courting trouble. I completely agree, and I also use manual time very sparingly. My point was that from a client's perspective manual time, if disputed in time, comes with almost a "money back guarantee" because any dispute will be decided in favour of the client whereas properly logged time is very hard to dispute even if the actual output / work product is completely useless.